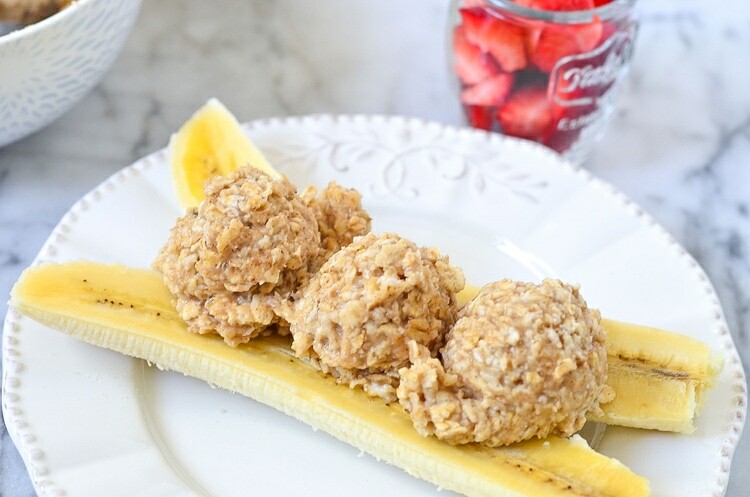 Healthy, delicious and nutritious Oatmeal Breakfast that is a fun breakfast recipe. 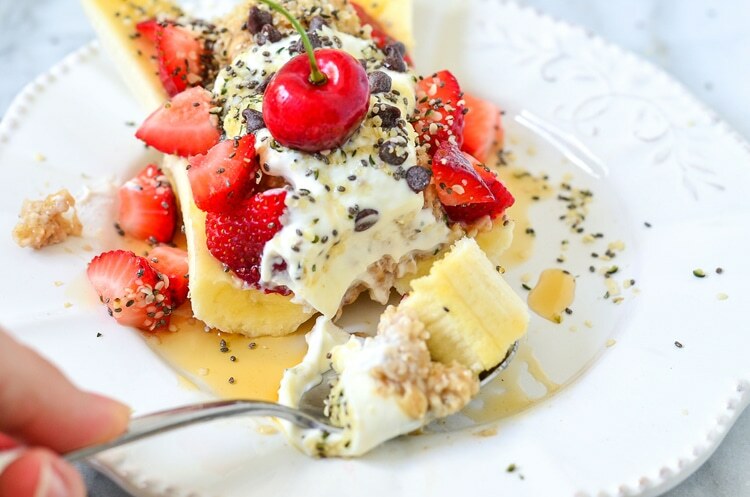 Make our banana split oatmeal breakfast, and you’ll love oatmeal even more! 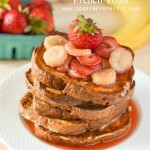 Tired of the typical oatmeal breakfast? Oatmeal is a great option for breakfast, but if you eat it often enough you know how boring it can get. Sure you can add in fruits, vegetables, other grains, but where’s the fun in the traditional oatmeal day after day? Go ahead and have a good time, in fact, oatmeal should be fun to eat. Have you ever tried to get your child to eat a bowl of oatmeal? I’m sure at least 50% off kids will push a bowl of oatmeal away and say, “I want cereal.” Don’t resort to sugary cereals. 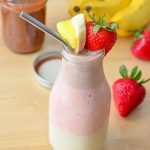 We’re going to show you a fun and delicious recipe for breakfast, and you and your kids are going to love it! 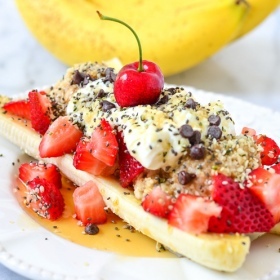 The best part of this meal is you can top this banana split oatmeal with whatever you like. 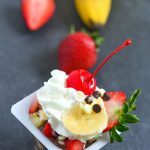 We have done the traditional banana split toppings and even more fun like pina colada, fall flavors with pumpkin puree and seeds. The options are virtually endless. 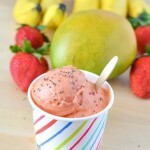 You can use fresh fruit, frozen fruit, puree fruit – whatever you want. You could even do without the oatmeal and use yogurt in its place. 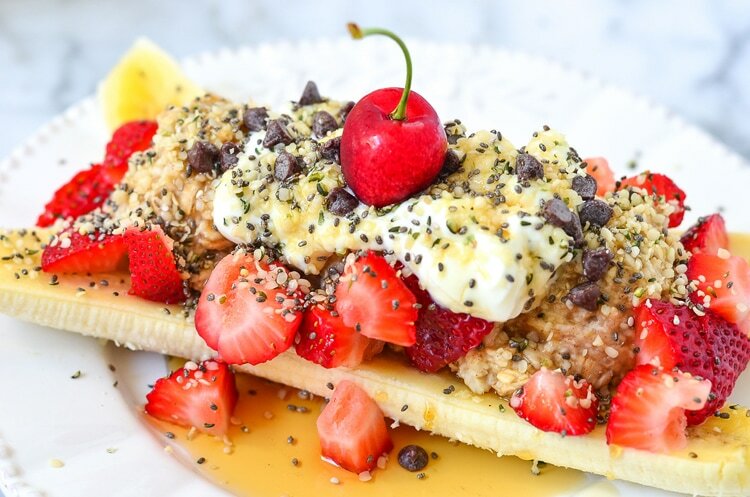 Make oatmeal fun again – plus how amazing does it look without even tasting it? 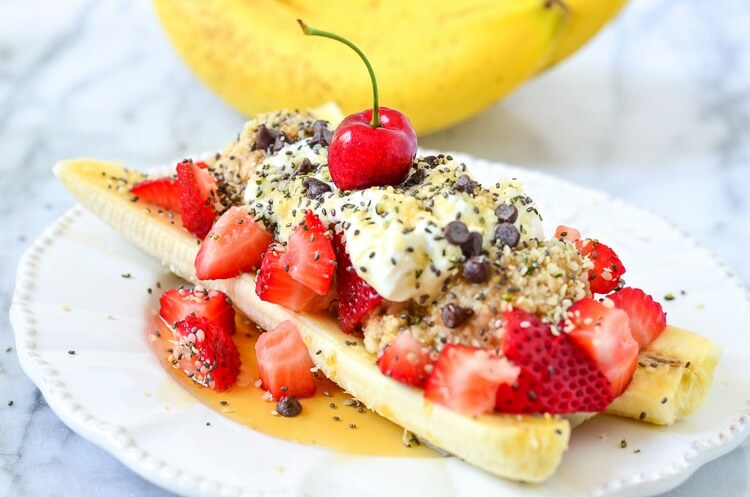 Go ahead and make up your own oatmeal breakfast banana split creation or make your very own Breakfast Banana Split Recipe! 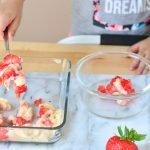 This is also a fun recipe for kids. My daughter loves the mini chocolate chips. 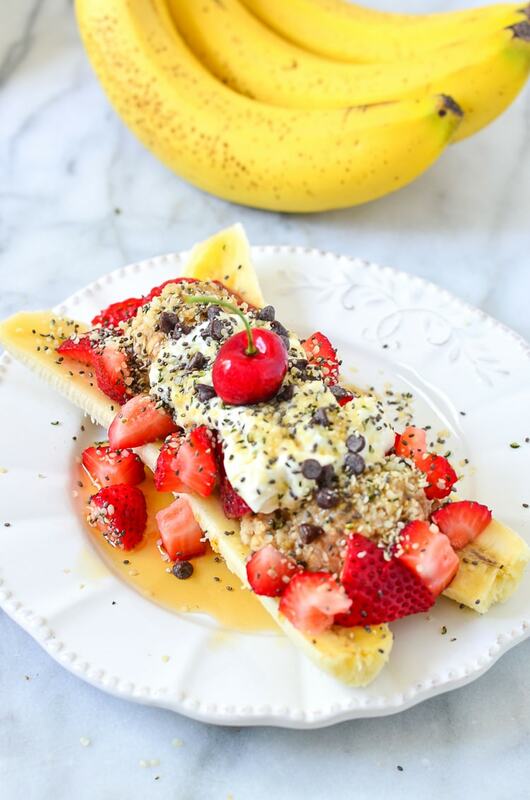 We use pure maple syrup and superfoods like hemp hearts, chia seeds, and flaxseed! 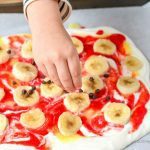 Slice banana lengthwise in half. 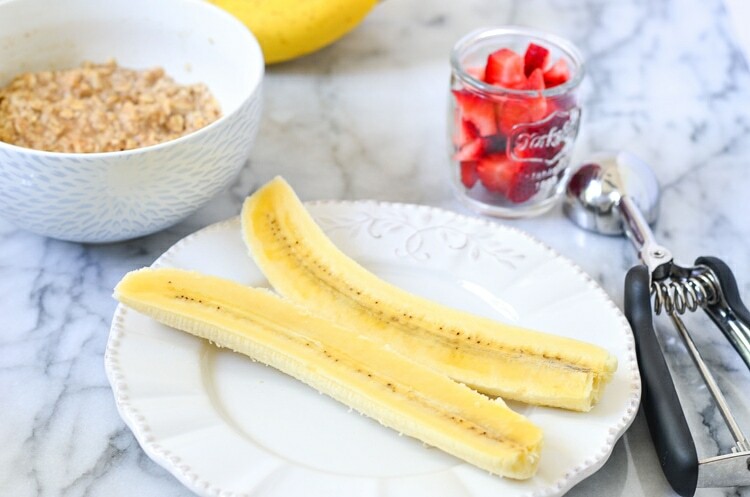 Scoop the oatmeal using a cookie scoop onto the banana. 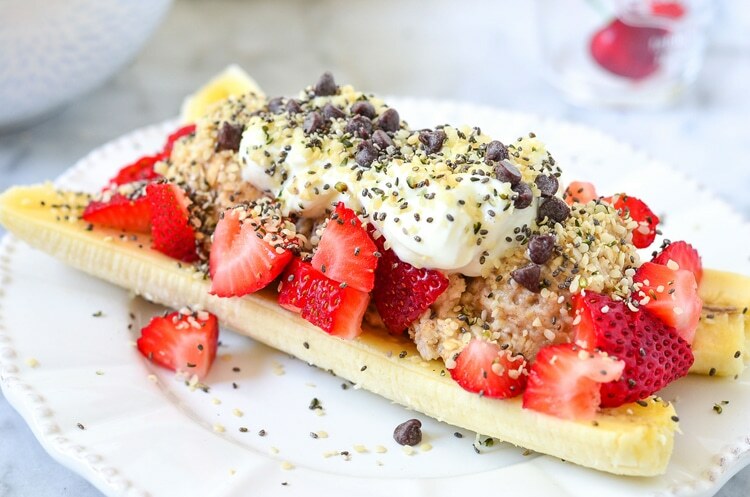 Chop strawberries and add to your banana split. 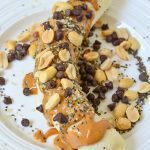 Scoop on the Greek yogurt and then add maple syrup, chocolate chips, hemp hearts, chia seeds, and the cherry on top. 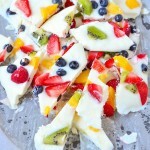 If you make this recipe tag us on social #CourtneysSweetsRecipes. 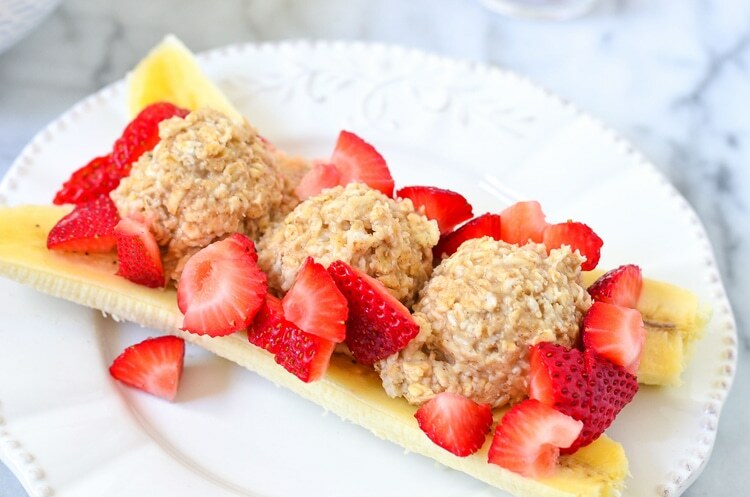 We can wait to see your oatmeal breakfast recipes!